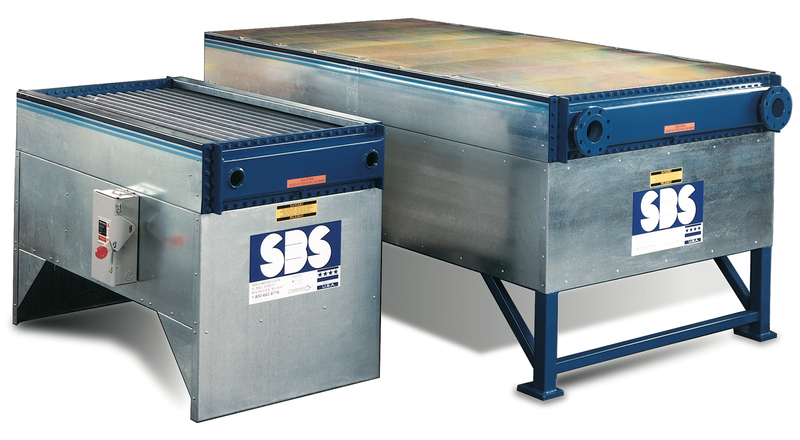 Our team of engineers has developed and refined the world’s best heat exchanger system, Quench Air, for cooling quench oil and synthetic polymer/water combinations in heat treat applications. 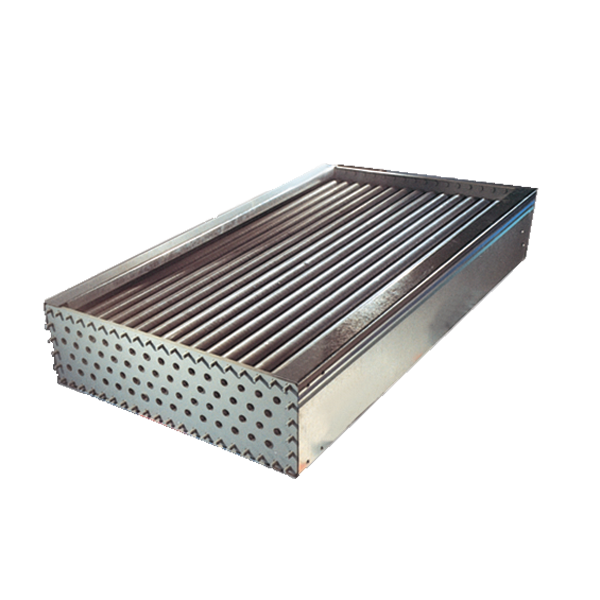 Each air-cooled heat exchanger features an all-steel construction that is naturally resistant to erosion from the acidic quench oil. 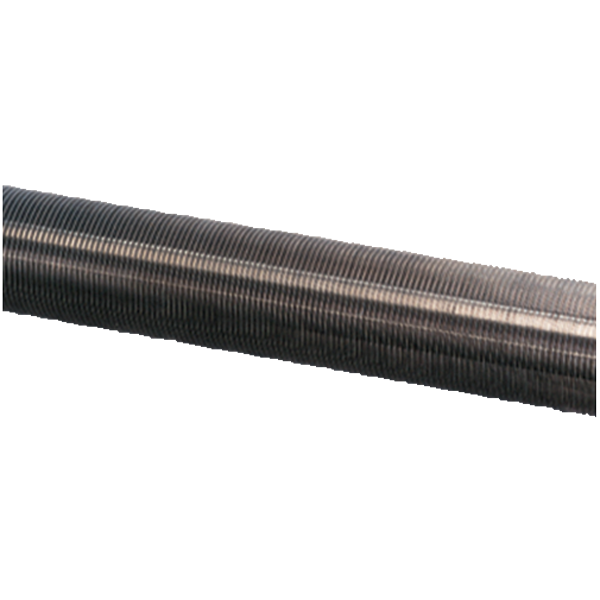 We use large diameter (1”/2.54 cm) tubing to virtually eliminate plugging from dirty oil. 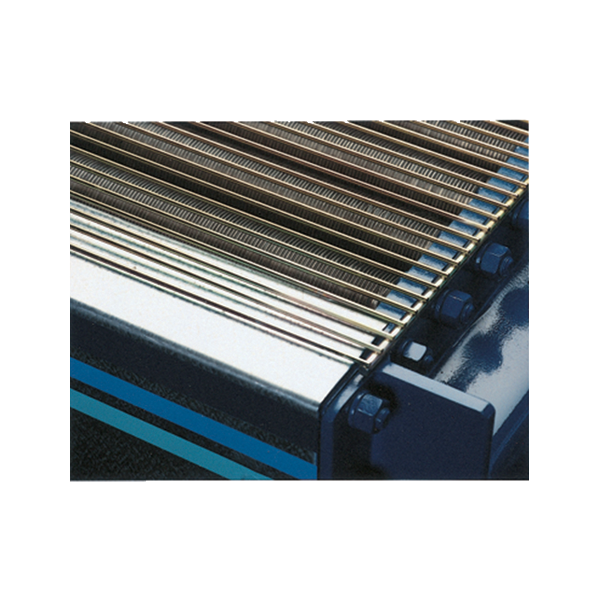 If the tubing does need to be cleaned, both ends of the heat exchanger are removable, allowing the straight through tubes to be brushed out. 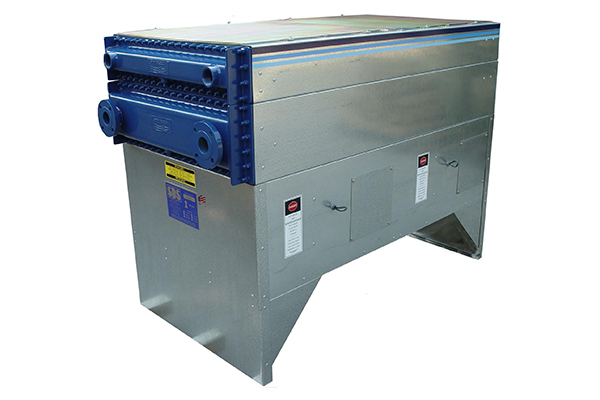 Perhaps the greatest design feature of our Quench Air heat exchanger system is that it is air-cooled. 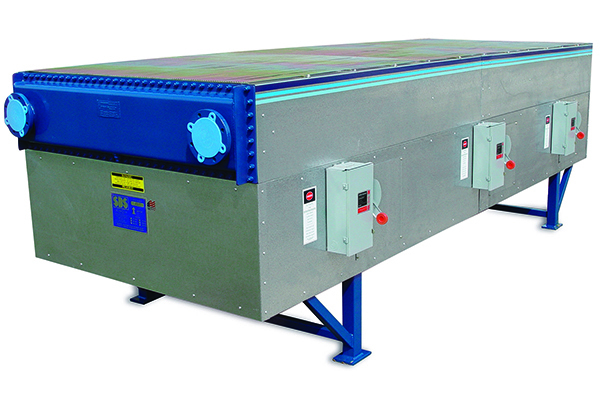 Air-cooling eliminates the danger of water leaking into the quench tanks, a leading risk associated with improper heat treatment. 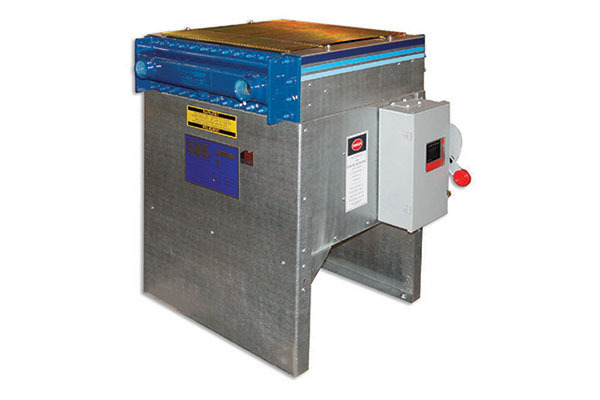 For more information about our air-cooled heat exchanger systems, or to inquire about custom engineering, please contact our team at (880) 662-8776. 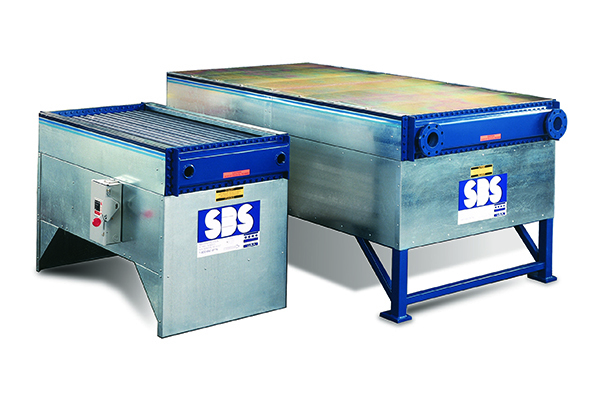 Straight through tubes with no u-bends means that you can clean out the entire tube length and see light at the other end of the tube for complete heat exchanger cleaning. 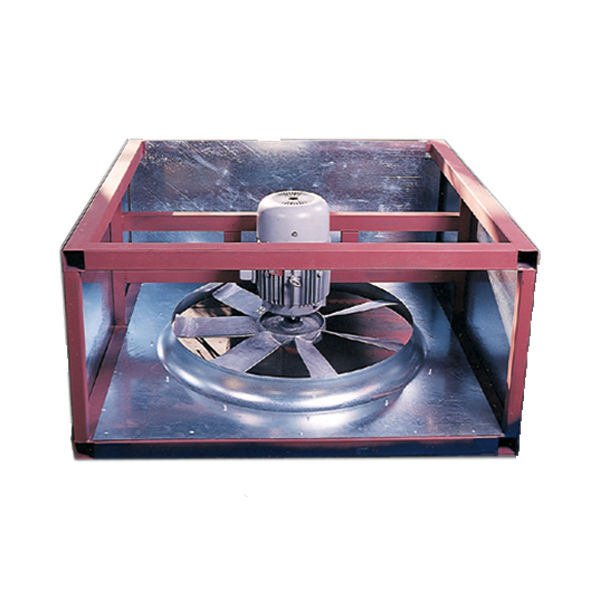 Using minimal horsepower, propeller fans deliver the optimal quantity of air with quiet operation. 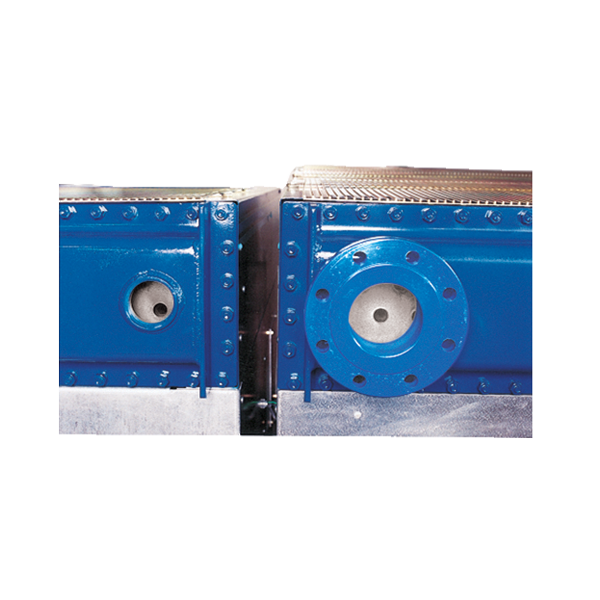 The direct drive fans eliminate sheave and belt maintenance. 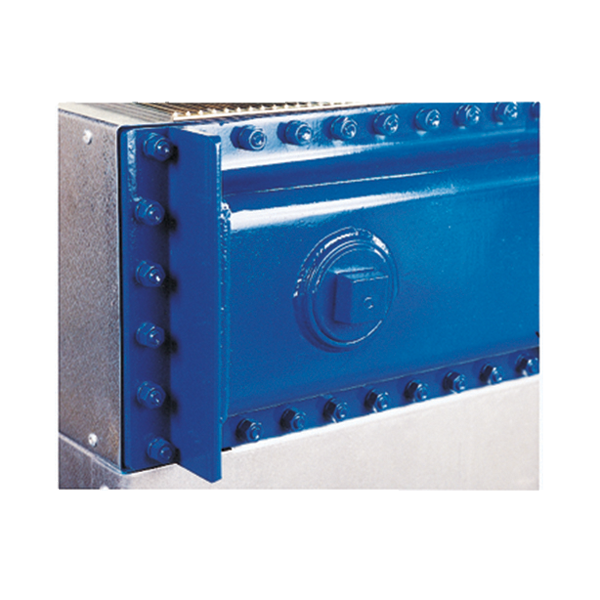 Inlets and outlets are available in standard 150# ANSI flanged connections (NPT optional) to match piping capabilities. Mounted on top of the heat exchanger, the fin guard protects the delicate finned tubes from weather or operator damage. The fin guards are bright zinc plated and sealed with di-chromate. The easy-to-remove plug provides a viewing port to examine tube cleanliness. The plug allows a quick visual check of the tubes without removing the manifolds of the unit. Wired using SEAL TITE conduit and fittings, the switch gives a positive electrical power lockout. 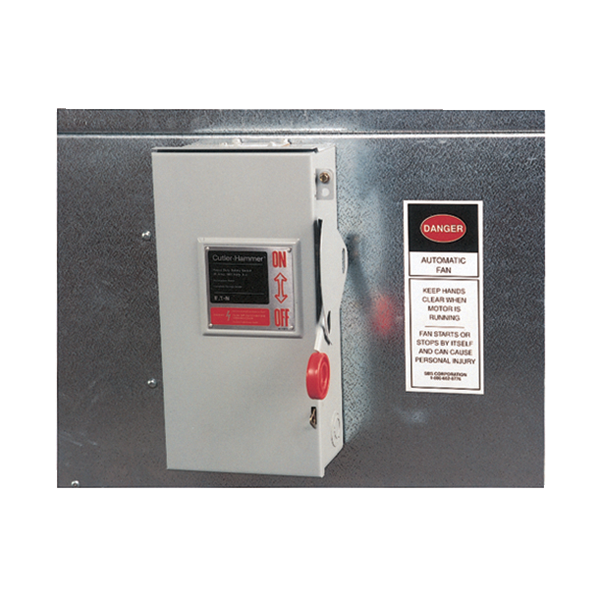 The weather-tight disconnect switch helps assure compliance with OSHA electrical lockout standards.